You are here: Home / Product Reviews / Babies & Kids / To the Batmobile! Check Out Playtex PlayTime Cups with Twist ‘n Click™ Technology! Making snack time, play time and anytime fun and mess-free. I love any product that makes my life easier. While I don’t have little wee ones anymore, that doesn’t mean that the messes cease. In fact, they haven’t slowed down. So come meal time or snack time, I can expect a spill or two. While Mimi is able to drink out of a regular cup with no problem, she tends to be a bit clumsy when she is distracted. That often leads to a lot of spills and clean-up for me. To forgo the mess altogether, I use fun cups from Playtex. Ones that keep a seal and if they tumble, there is no mess. Cups kinda like the NEW Playtex PlayTime cups in fun designs. Playtex® PlayTime™ cups have joined forces with some special friends to make playtime even more fun! The Playtex® PlayTime™ cups have enhanced Twist ‘n Click™ technology, with an audible click that lets you know they are guaranteed 100% leak and break–proof. This solves all of my problems and I’m sure those of many parents–everywhere! Made for children 12m+, the cups have double walled insulation to help ensure drinks stay cool and fresh for twice as long** and are available with a spout or straw. For moms and their little ones who are always on-the-go, the Playtex® PlayTime™ cups are perfect for anywhere playtime takes them. 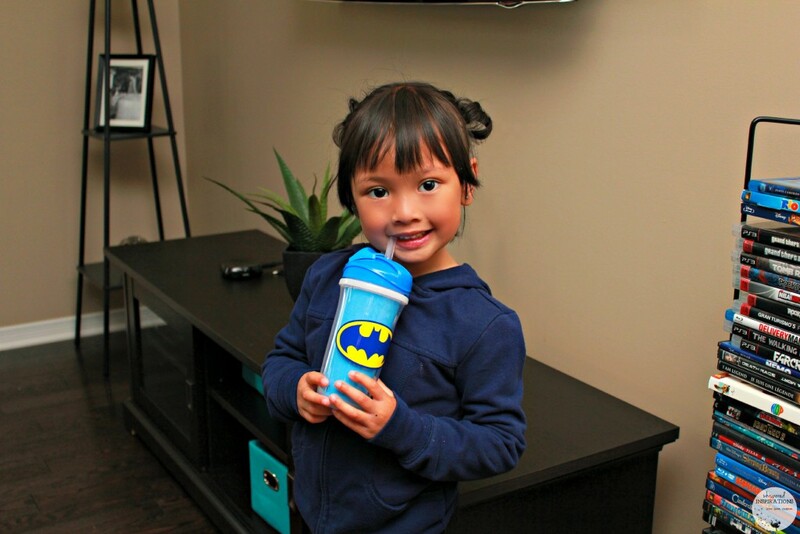 Mimi loves super heroes, in fact Batman is one of her absolute favorites. She thinks he is cool and has awesome cars and gadgets. Not to mention, he always gets the bad guys. When I asked her which cup she wanted to try, she immediately went for Batman. While she loves My Little Pony, she loves her supers. She prefers to have cups with straws and she liked this feature. I like the 100% leak-proof quality and the size of the cup is perfect for her. It’s not too much and not too little. One thing that has made me truly slap my palm to face is when I find a cup toppled over on my suede couches in the basement. The contents sat all night and you know what that means. I am in for a lot of scrubbing, vacuuming and cleaning. Well, you can guess, she left almond milk in this cup and I found it on its side on the couch the next morning. Not one drop! Thank-you Playtex gods, you saved not only my couch but, my sanity! While I’m not cleaning up messes anymore, I am washing, rinsing this cup regularly. I don’t know about you but, I think that’s much better than scrubbing or lapping away spills! What is even better is the cups are BPA-free and dishwasher safe. So, you can just load them and go. If you want to try it out for yourself, the Playtex® PlayTime™ cups are available at all major retailers across Canada for a suggested retail price of $7.99. You can get yours in-stores or here. I think we will have to add a few more to our roster because they work so well. Adjusting the lid is super easy. If you follow the arrows and the way the ridges flow, you’ll get it in a snap! You can definitely tell that it is a tight seal, you hear it click. The straw comes apart easily for cleaning. It’s an all around fun and effective cup, great for wee ones and even the bigger kids who are little spill makers! Would your kids love the NEW licensed cups? LOVE, LOVE, LOVE! Where were these when my boys were little??? Those are very cool and kids will be excited about the ponies and superheroes! 100% leak proof sounds great. That is what gets me! Ok, I wish we had these when my kids were younger! This is such a clever idea. Love the Twist N\’ Click! My girls would have loved it! Get them hooked on superheroes at an early age! That is such a cute cup for little ones! And I like that it can give them a drink with more safety than an open cup. Lots less chance of spilling! Now this is an awesome cup. My Little Man would have loved it when he was younger, actually, he would probably still love it. Thanks so much for sharing. My son would love this! I will have to look into getting one for him! I have found with many of the sippy cups that my four kids have had that they wouldn't stay closed properly or leaked. This new technology sounds great! I am so glad that they make these mess free and cool cups for older kids. It helps traveling with liquids, managing drinks at restaurants and keeps the rugs clean at home! Me too, they are not just for littles. I would love to buy these for my 21 month old! He would LOVE them. These are great cups. My nephew loves Batman and he is just the right age. They would love it – yesterday they were fighting over a Snoopy cup! Those are really cute cups! My daughter would love a My Little Pony one. 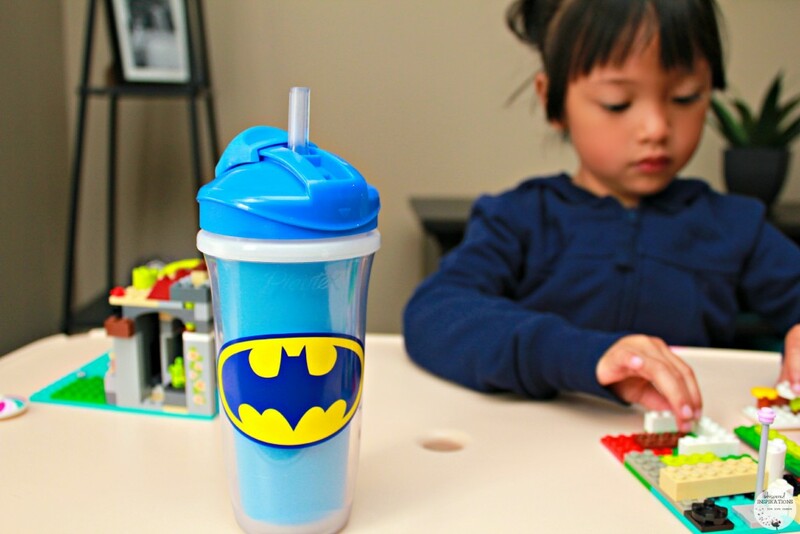 This cup is super cute and perfect for my son! He really does need a new sippy cup. I love these so much! I wish they were around when my boys were little. My boys really enjoyed this brand of cups for quite a while. Now they simply destroy every sippy cup they find. Ugh. LOL, that is so funny. This one is pretty tough! 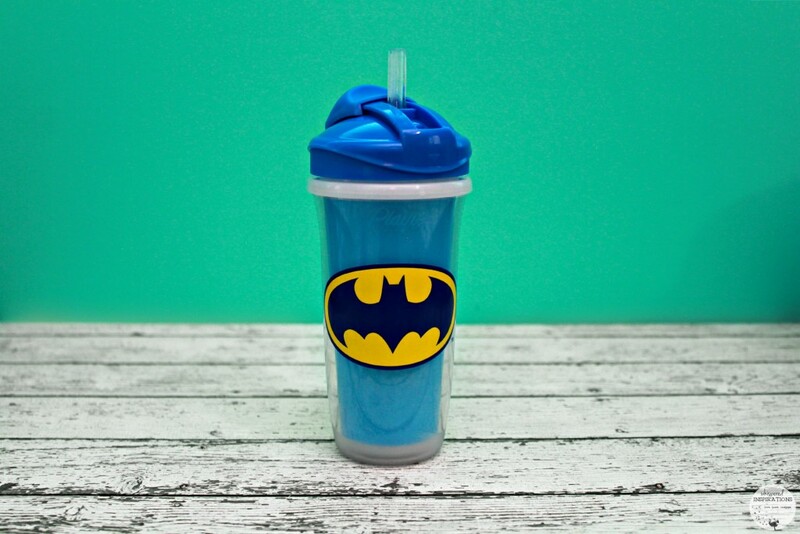 My toddler is a little too old for toddler cups but this is a great cup for the Batman fans for sure. Maybe if it was Hello Kitty she'd be interested. My pleasure, I am sure he would love it! 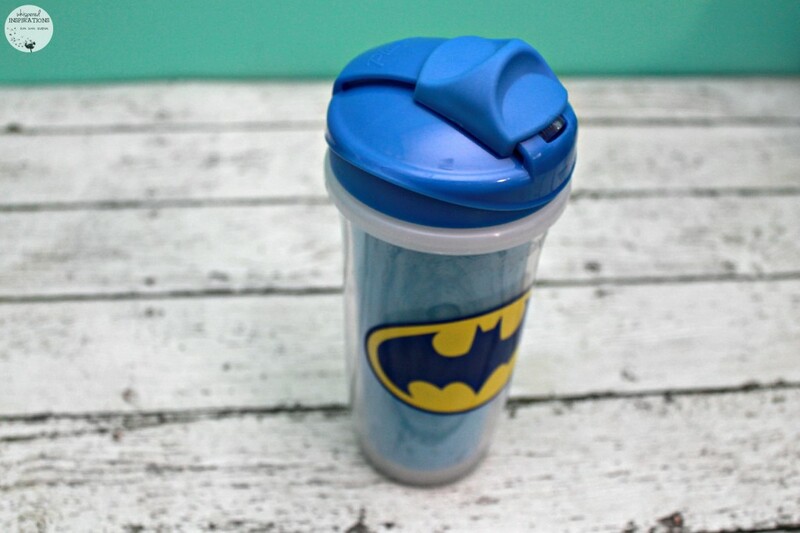 This is a really nice cup for batman fans. Kids would love them. And no spills? I am in! My kids love superheroes, too. That is one cute cup! I'll be needing two of this! A Thomas the Tank Engine and Batman, my boys would definitely love them! 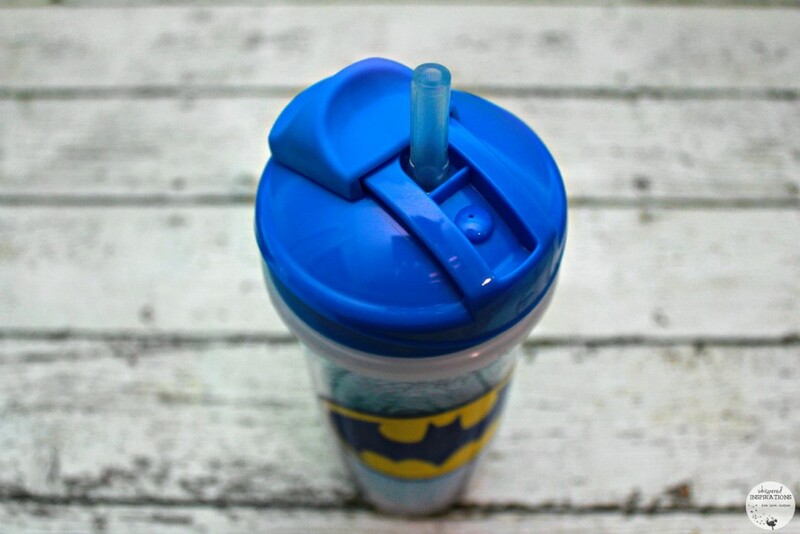 I don't have children but those cups look perfect for when I am driving and need a quick sip of something cold–of course for me Superman would be just perfect! My daughter would adore this licensed cup. It will be handy for all her outdoor activities. What an awesome cup. 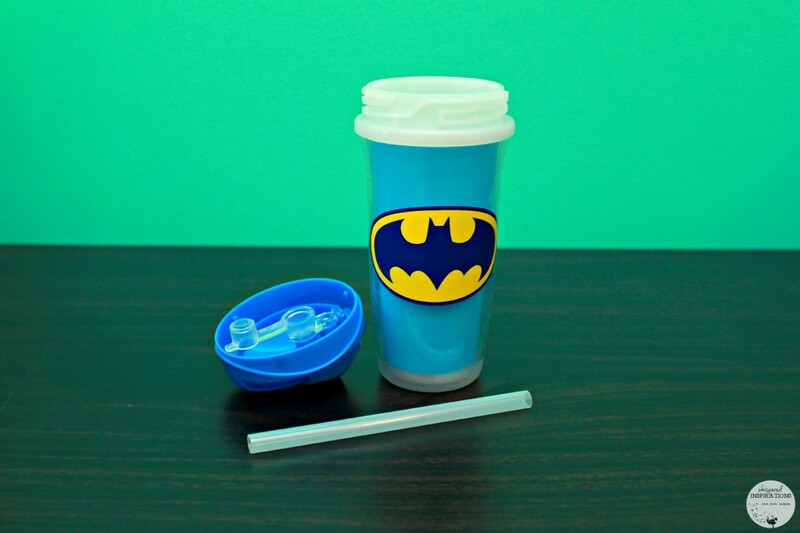 My kids would love this, they are a superhero fanatics, do they have a Superman cup? I love it! Hmm, I am not sure.